One of the latest trends in the world of photography are engagement sessions that focus on a natural and un-posed look. And honestly, we could not be more excited about the increase in Palm springs wedding photos and engagement sessions that have that candid feel. 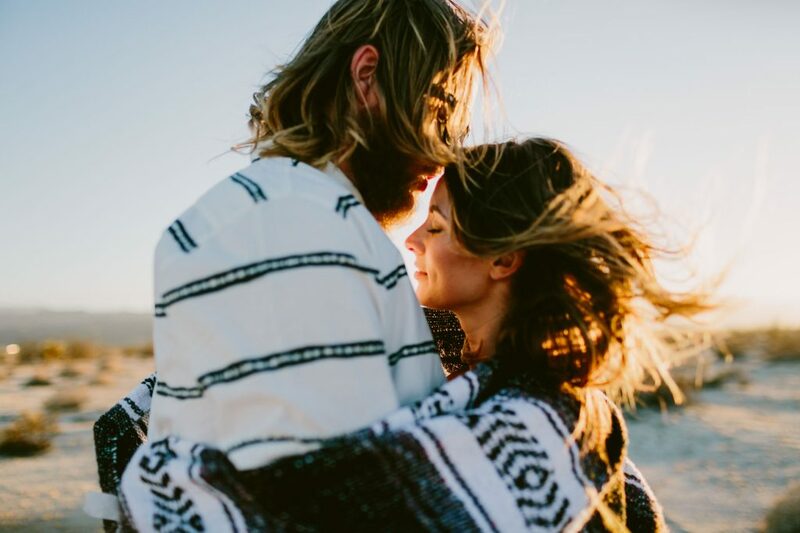 That is why we were pumped when we came across a recent session captured by Orange County wedding photographer Michael Ryu who snapped some AMAZING engagement photos in a cozy Air Bnb before heading out to Joshua Tree to photograph even more magic. 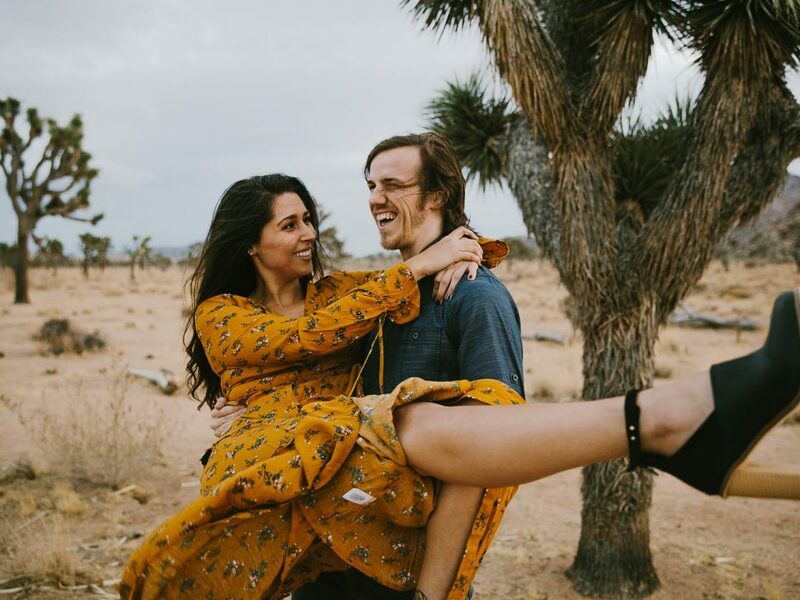 From pillow fights, genuine laughter, strolls in the Joshua Tree desert and so many other real moments, Vicky & Justin’s engagement session truly had all the feels. 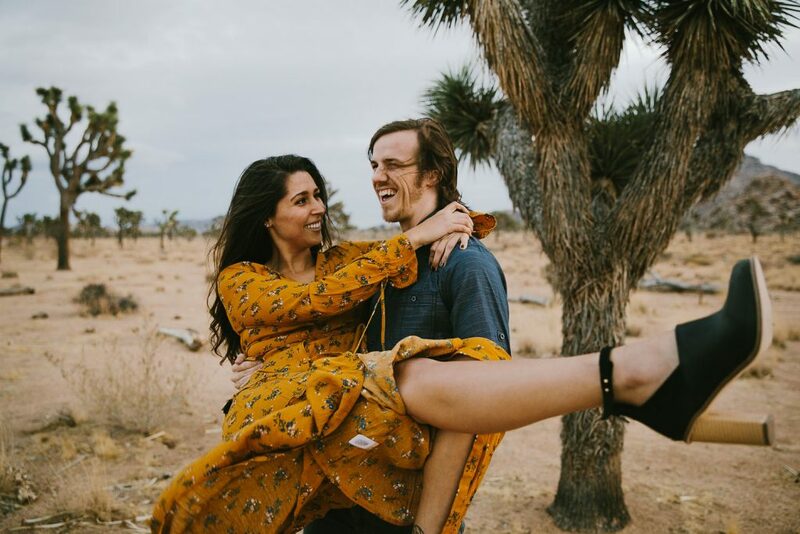 So check out these Joshua Tree engagement photos that definitely put a smile on our face, and enjoy reading behind the scenes stories from the photographer Michael Ryu who will now tell you all about this engagement session! Was This Your First Time Shooting In Joshua Tree? No it was not my first time shooting an engagement session in Joshua Tree! Every time I go there I keep wanting to come back because I love outdoors, and I believe Joshua Tree is truly a one a kind! I really do just love everything about the setting of the Southern California national park. Everything! It has little bit of everything, from nature to small city that is in the middle of nowhere. But if I had to choose, I’d say the sunset and the boulders are my personal favorite thing about Joshua Tree! The engaged couple were Vicky & Justin. I first met Vicky at a wedding, where she was assisting a wedding coordinator. That coordinator, later on, referred me to them when they got engaged! They are an amazing couple who are extremely sweet, and very affectionate towards each other! That made definitely it easier to get them to act natural in front of the camera. For me, I always tell my couples first to just have fun during photo sessions. I tell them to pretend they are on a unique date with each other and I am just there taking photos. And I always make jokes or think of unique situations that make them laugh as much as possible! My favorite moment from the engagement was during the sunset, when we were about to go home. We decided to shoot more because it was so beautiful, and got one of my favorite shots, which was them walking across the road! Hi! My name is Michael Ryu, and I’ve been a wedding photographer for 5 years, based in Orange County, California. I was an electrical engineer major in college, but I realized that was not what I wanted to do. After college, my hobbies were photography and climbing. I got many opportunities to shadow many awesome wedding photographers and fell in love with what documenting weddings had to offer. I built experience and a portfolio slowly, then I decided to do weddings full time since 2013 and never looked back. I hope that my images will have some impact in the world, to those who come across them, and evoke emotions that they may feel as the couple did. Thanks for an opportunity to share my story! 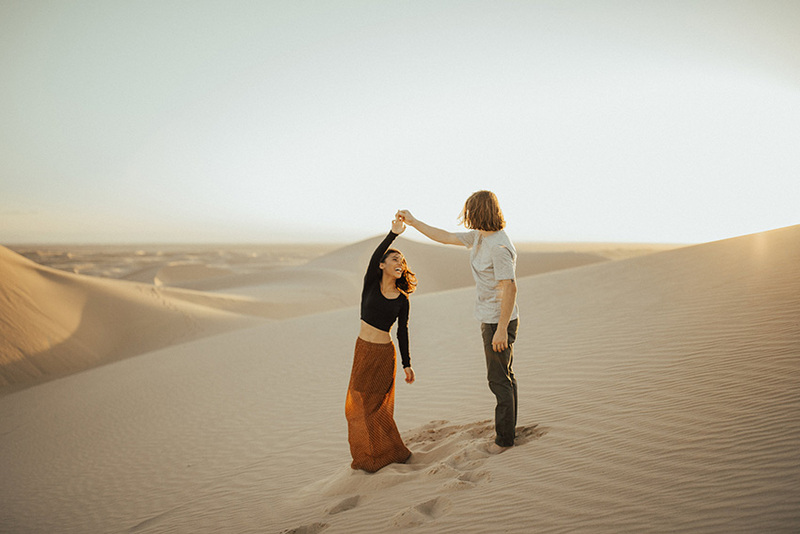 Those planning a engagement session in Joshua Tree and who are looking for more inspiration can check out Tanya and Kirkland’s couple session in Joshua Tree that was featured on PSWH earlier this year!